Kirsten Dunst took umbrage at the cast of "Jersey Shore" for not being actual residents of the Garden State. "None of those people are from New Jersey!" Dunst said last night during the premiere of her latest film "All Good Things" co-starring Ryan Gosling at the SVA Theater in Chelsea. "I'm from New Jersey - they're not from New Jersey!" The blonde starlet said she has seen the show once. Her TV show preference? "Mad Men." But the award-winning actress said she hardly tunes into the tube - she watches most of favorite shows on the Web. 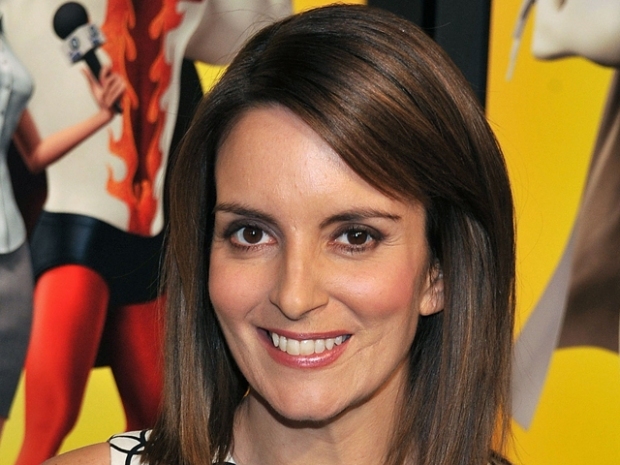 The "30 Rock" comedienne talked about what reality TV shows she watches while attending the "Megamind" premiere at AMC Lincoln Square Wednesday night. Fey, who recently put on a "Real Housewives of New Jersey" skit with other SNL leading ladies, said the cast would "nail" a Jersey Shore spoof as well. "I don't have a TV in my apartment," she said. Also on hand at the Wednesday night premiere were Frank Langella, Diane Venora, Parker Posey, Candace Bergen, Kylie Bisutti, Ally Hilfiger and Dreama Walker. After the star-studded premiere, Dunst headed to Buddakan.